Rubies are one of the most beautiful gems there are. With their gorgeous shades of reds, hues of purple, pink or brown and a wide assortment of attractive shapes, Rubies are one of the best gifts to receive. Whether they come in a ring, as earrings, a bracelet, a necklace or an anklet, Rubies stand out in the crowd. Historians believe that birthstones go back as far as the Book of Exodus in which the high priest, Aaron, wears twelve gemstones (one for each tribe of Israel) upon his breastplate. As time went on, certain gemstones became associated with the zodiac signs which coincided approximately with the twelve months in the year. People born under a certain sign are said to be influenced by the sign and the gemstone associated with that month is thought to have certain properties attributed to it. Ruby means nobility and beauty. Ancient Hindus called the Ruby the "King of Gems" and prized it for its beautiful color. It represented integrity, courage, romance and prosperity. Warriors were said to implant the gems underneath their skin in order to make them fearless in battle. Rubies were ground to a powder and ingested because they were believed to cure certain diseases, help with digestion and bring good health. In the past, Rubies were thought to have magical powers in them. They were the preferred gem of kings and queens, who wore them to protect themselves against evil and bad luck. Today, Rubies are still said to bring good luck to the wearer. 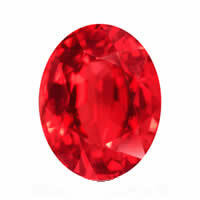 Wisdom, health and happiness are also attributed to this bright red gemstone. 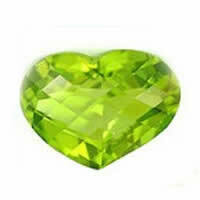 Many people still believe that gemstones have healing powers. Rubies are believed to stimulate the heart chakra and give us energy. They help detoxify our bodies, lower fevers and help with blood flow. Rubies are said to give us vitality, strength and the ability to re-energize. They reduce our negative thoughts and protect us. Emotionally, Rubies are believed to help us with motivation and setting goals. They aid in positive dreams and help us see things clearly. Rubies aid in ridding oneself of anger and give us courage in times of distress. Rubies are also thought to protect us from physical attacks. Rubies are created when certain minerals, like Corundum, join together. Corundum, a colorless mineral, is also one of the hardest minerals known. When Corundum binds with certain elements, it creates an assortment of reds which, when exposed to certain temperatures, forms ruby crystals upon cooling. The chemical composition of a Ruby is Al2O3 aluminum oxide. 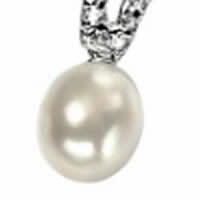 It has a Moh's hardness of 9 with only a Diamond (at 10) being higher. Technically speaking, a Ruby's chemical composition is Aluminum Oxide, Al 2 03. There is no one place where Rubies come from. Burmese Rubies are the reddest Rubies and they come from Myanmar. Mong Hsu Rubies are also from Myanmar and have a black core in the center and become a pinkish red when heated. Vietnam produces Rubies with a purple tinge and Thailand produces them with a brownish tinge which is known as "Siam". The popular raspberry Rubies were once mined in Ceylon (now Sri Lanka) but have been mined out of existence.